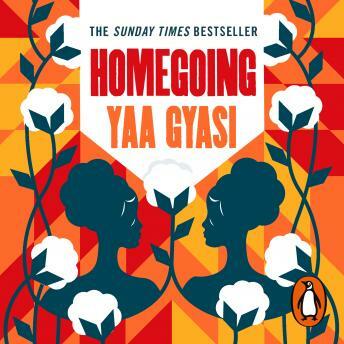 Penguin presents the unabridged, downloadable, audiobook edition of Homegoing by Yaa Gyasi, read by Dominic Hoffman. Effia and Esi: two sisters with two very different destinies. One sold into slavery; one a slave trader's wife. The consequences of their fate reverberate through the generations that follow. Taking us from the Gold Coast of Africa to the cotton-picking plantations of Mississippi; from the missionary schools of Ghana to the dive bars of Harlem, spanning three continents and seven generations, Yaa Gyasi has written a miraculous novel - the intimate, gripping story of a brilliantly vivid cast of characters and through their lives the very story of America itself. Epic in its canvas and intimate in its portraits, Homegoing is a searing and profound debut from a masterly new writer. On my top three so far! And well choreographed! The write keeps the story line smoothly going despite shifting chapters between two different continents and a lot different time periods.